Who provides Early Head Start and Head Start in Detroit? What agency would I work for? What are the current requirements to be a Head Start teacher? What are the current requirements to be a Head Start teacher aide/assistant? What are the current requirements to be an Early Head Start teacher? How much do Head Start and Early Head Start teaching staff make in Detroit? What benefits do Detroit Head Start agencies offer? Ten agencies operate more than 70 centers across Detroit: Starfish Family Services, Matrix Human Services, Southwest Solutions, Focus: HOPE, Development Centers, United Children and Families, New St. Paul Tabernacle, Children’s Center, Renaissance Head Start and The Order of the Fishermen. 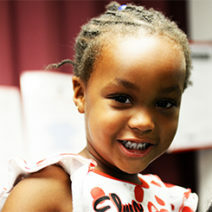 These agencies are funded to provide up to 3,778 Head Start and 1,149 Early Head Start seats. Each provider agency handles its own staffing and will post job opportunities to this site (and others). Click here for more information on how to obtain these requirements, including which Michigan educational institutions offer these degree programs. There are many job opportunities available at Head Start centers across Macomb, Oakland and Wayne Counties. See current open positions here. Learn more about a career in Head Start here. Compensation varies by position and provider agency. On average, Head Start assistant teachers make $13 an hour, teachers make $18 to $20 an hour, and site leaders make around $25 an hour. Early Head Start teachers make an average of $15 to $19 an hour and site leaders make an average of $24 an hour. Download these infographics for more information. Job posts for specific positions contain more information, including other benefits and professional development opportunities that can factor into your decision. Benefits vary by position and by agency. This infographic provides an overview of benefits, including medical, dental and life insurance, short- and long-term disability, paid time off and retirement contribution plans.